Well, well, well. Looks like Kanye West scored himself a venture fund investor by the name of Jayceon Taylor. Better known as the Game. 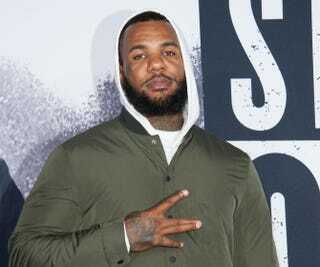 In three tweets posted Wednesday around noon in Dubai, the Game vowed to give Kanye $10 million if he comes to Dubai and skydives with him. West had an hour to call or tweet the Game to accept the offer. West has yet to tweet the Game back, but no word if he contacted the rapper via other means. The tweets referenced how West has been begging venture fund investors and tech entrepreneurs like Facebook's Mark Zuckerberg to invest in his ideas.